It's much easier to get into the mind of consumers and get perceived as the leader if you are the first to launch a new category of products. Further, the first in to the market has the opportunity to create a new category name and establish a new industry standard. Cultivate a burning desire to win the race. 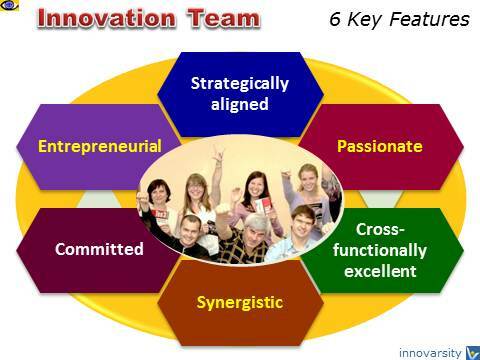 Establish cross-functional teams to increase innovation speed via real-time involvement of all relevant functions. 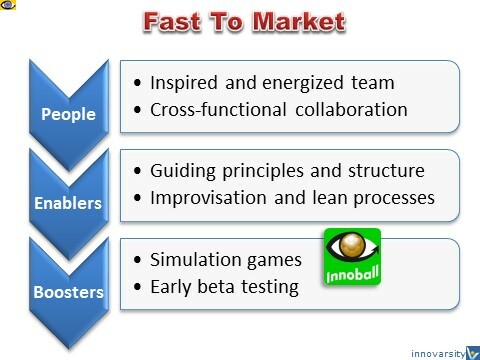 Entrepreneurial simulation games, such as Innoball, help innovators reduce time to market significantly. Just one simulation game helps an innovation team to avoid costly and time wasting mistakes, develop better strategies, enhance entrepreneurial creativity of the team, strengthen the business model, and reduce time to market – all within three hours. Don’t wait until everything is perfect. 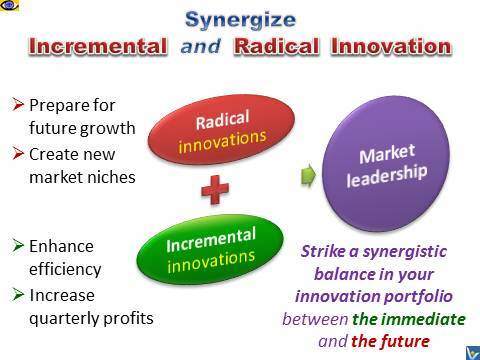 Launch a truly innovative product early even if it has some shortcomings. By launching before your competitors do you gain two big advantages of being the first in the customer’s mind, and getting more enthusiastic customer feedback. You’ll enjoy these two big advantages even if you launch not a full-scale show, but in a small beta test before releasing new features widely. Don't undershoot, or you will simply create an opportunity for competition. great ones compete with themselves.